A little while back I was notified by an uncle living in Chile that I had a cousin living in Bondi Beach. We got in touch and instantly became friends. That summer I spent many lazy warm Sundays afternoons crossing the street from his beach front house after a long night of drinking and eating, to the inviting sandy shores of Bondi, with his Chilean housemates. Surrounded by the Spanish accent that reminded me of my trips to South America and a soccer ball never far away, one mix became a constant melodic backdrop. "Best of Kygo" mixed by Simy. 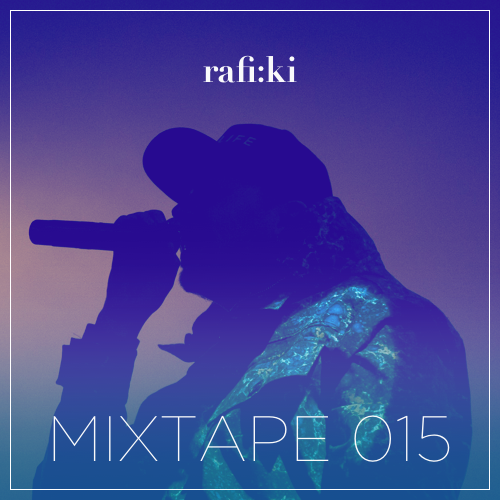 A friend once asked me if I liked Trip Hop, I replied that I hadn't and after he had shaken himself out of a shocked state of disbelief, he pointed me to rafi:ki's "mixtape 015."